Aside from actual gaming, one of the more enjoyable aspects of wargaming for me is scale modelling. Scale modelling is basically looking at the real world and figuring out how to represent it realistically on the tabletop. I’m constantly picking up little pieces of wood, paper, metal, fabric and string and figuring out what those materials might be used for down in a miniature scale. 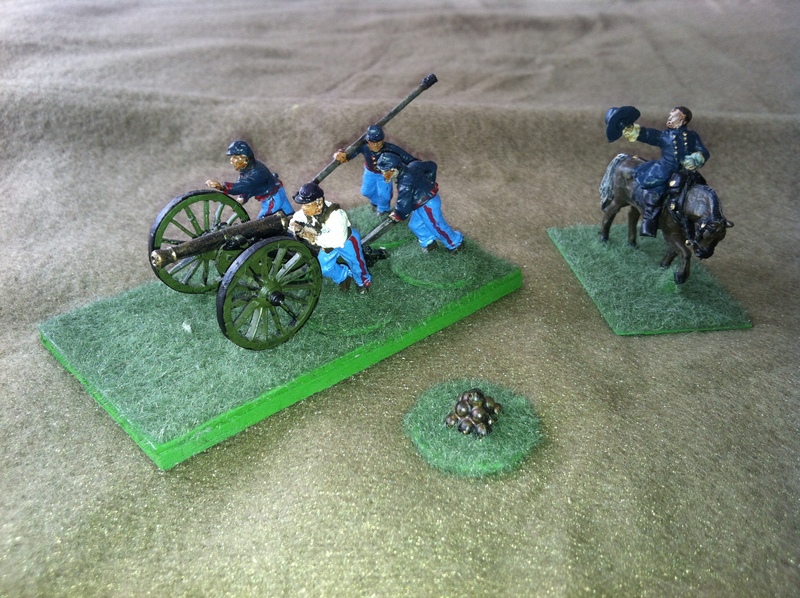 My most recent project is building some cannonball markers for my 28mm scale American Civil War gaming. These markers will be used to indicate when my field guns are loaded and ready to fire. 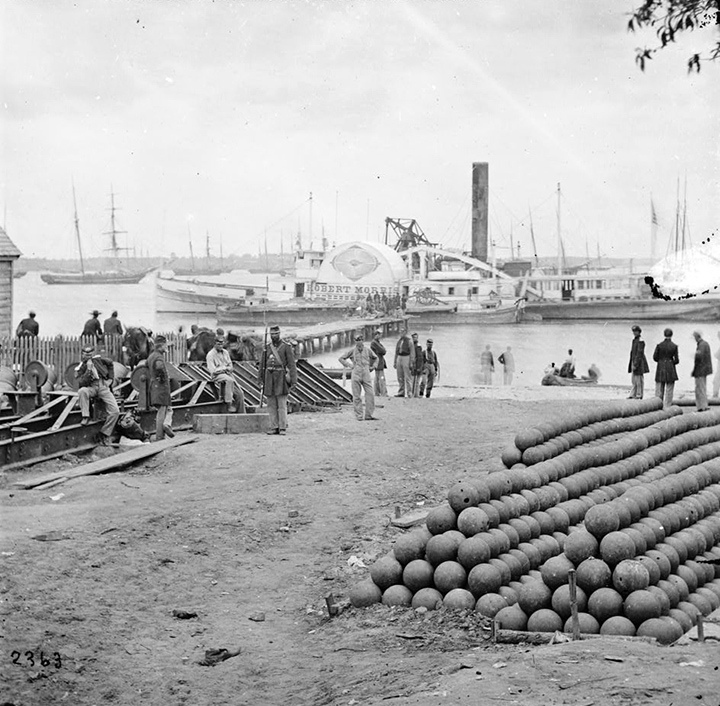 In reality, most American Civil War field batteries probably didn’t have time to neatly stack piles of cannonballs as gun teams fired furiously at enemy lines. 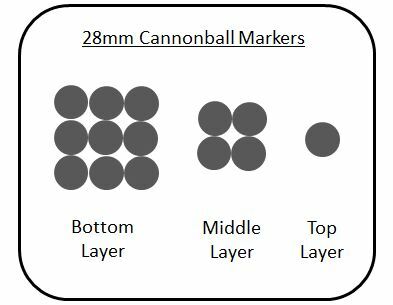 That said, anyone who has visited a historic battlefield site will most probably be familiar with the look of cannonball piles often found sitting neatly nearby an antique artillery piece. Many companies offer pre-made cannonball markers cast in plastic or metal, however, I thought scratch-building some markers of my own would offer a nice break from my usual painting of soldiers in blue and gray. For bases, I used the same 7/8″ fender washers I use for basing all my 28mm miniatures. 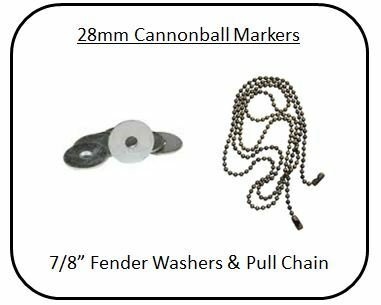 The cannonballs were made from a length of metal pull chain found in the electric aisle of any hardware store. Many modellers use small gauge shot to model cannonballs, but I found the connected balls/links of the chain makes assembly quicker without the mess of chasing little balls around the workbench. To begin, I cut and glued a small thin piece of cardboard over the center hole of each washer. I then cut three three-link sections, two two-link sections and a single ball from the chain. Starting at the bottom layer, I used a dab of superglue to affix the three three-link sections on the base. When dry, I glued the two two-link sections on top of the base layer and then fixed a single ball on the top of the pile. The result was a neat pile of 14 balls stacked into a symetric pyramid. Once each based pile was dry, I spray-coated the markers with flat black paint. To give the cannonballs some shading and depth, I lightly dry-brushed some rusty metal and brown paint over the balls, allowing some of the black to remain between. 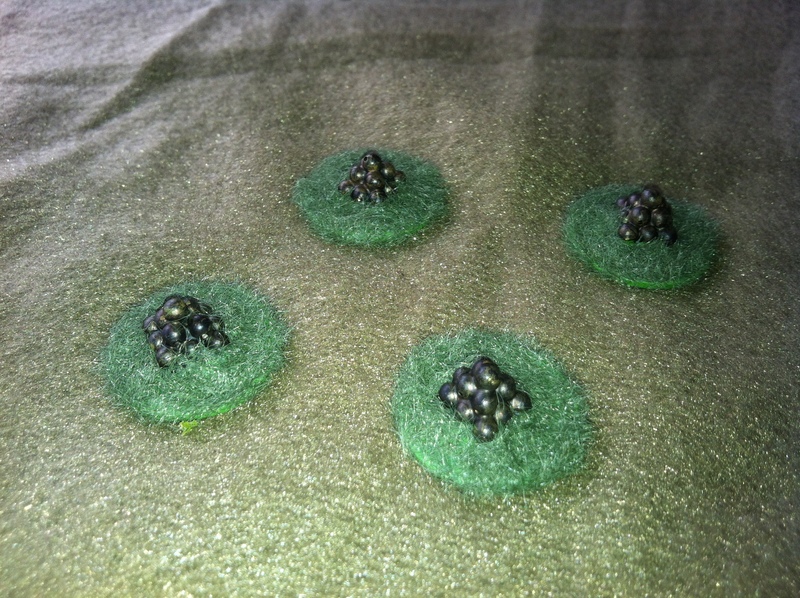 The base was then painted green and flocked with some static grass affixed with PVA glue. A protective dull clear spray coat finished them off. Sitting alongside my Union gunners running a field piece into position as their General shouts orders, these new markers make for a nice piece of detail on the battlefield.